Up for sale is this Rolex DateJust 16220. Watch keeps accurate time and quick set date works as it should. This is an excellent working condition Stainless Steel DateJust. 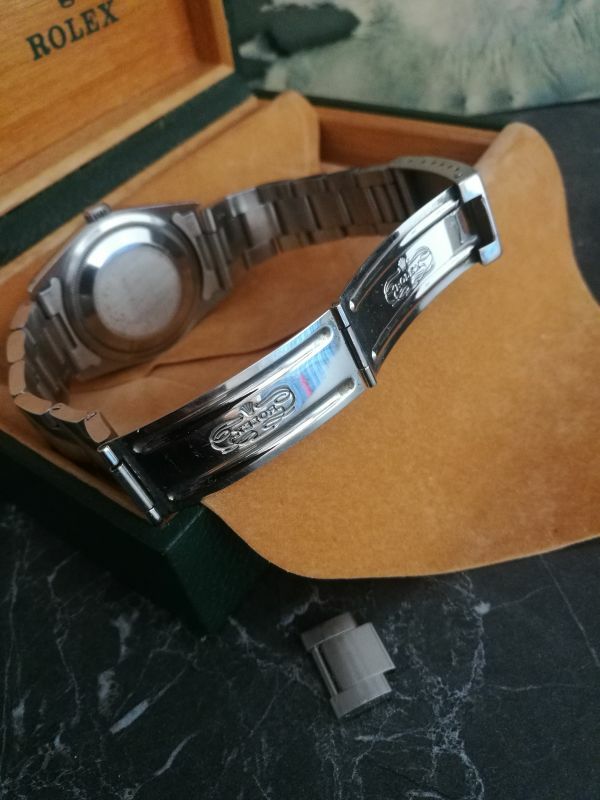 The watch comes with a correctly dated 78360 oyster bracelet with 558B endlinks and clasp code R4. This set comes with all boxes, papers and tag. $ 4,450 net shipped worldwide via FedEx fully insured. 100% genuine Rolex or full refund.